A race condition is a common trigger for concurrency bugs. As a special case, a race condition can also occur across the kernel and user space causing a double-fetch bug, which is a field that has received little research attention. In our work, we first analyzed real-world double-fetch bug cases and extracted two specific patterns for double-fetch bugs. Based on these patterns, we proposed an approach of multi-taint parallel tracking to detect double-fetch bugs. We also implemented a prototype called DFTracker (double-fetch bug tracker), and we evaluated it with our test suite. Our experiments demonstrated that it could effectively find all the double-fetch bugs in the test suite including eight real-world cases with no false negatives and minor false positives. In addition, we tested it on Linux kernel and found a new double-fetch bug. The execution overhead is approximately 2x for single-file cases and approximately 9x for the whole kernel test, which is acceptable. 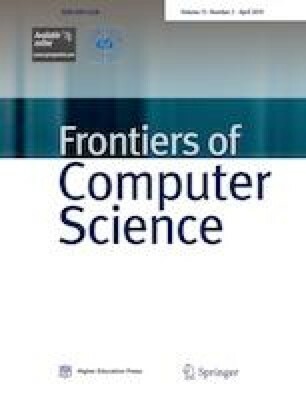 To the best of the authors’ knowledge, this work is the first to introduce multi-taint parallel tracking to double-fetch bug detection—an innovative method that is specific to double-fetch bug features—and has better path coverage as well as lower runtime overhead than the widely used dynamic approaches. Pengfei Wang received the BS and MS degrees from the College of Computer, National University of Defense Technology (NUDT), China in 2011 and 2013, respectively. He is now pursuing his PhD degree in the College of Computer, NUDT. His research interests include operating systems and software testing. Kai Lu received the BS and PhD degrees from the College of Computer, National University of Defense Technology (NUDT), China in 1995 and 1999, respectively. He is now a professor in the College of Computer, NUDT. His research interests include operating systems, parallel computing, and security. Gen Li received the BS and PhD degrees from the College of Computer, National University of Defense Technology (NUDT), China in 2004 and 2010, respectively. He is now an assistant professor in the College of Computer, NUDT. His research interests include operating systems and software testing. Xu Zhou received his BS and MS and PhD degrees from the College of Computer, National University of Defense Technology (NUDT), China in 2007, 2009, and 2014, respectively. He is now an assistant professor in the College of Computer, NUDT. His research interests include operating systems and parallel computing. Supplementary material is available for this article at https://doi.org/10.1007/s11704-016-6383-8 and is accessible for authorized users. The authors would like to thank the anonymous reviewers for their helpful feedback. The work was supported by the National Key Research and Development Program of China (2016YFB0200401). Supplementary material, approximately 711 KB.